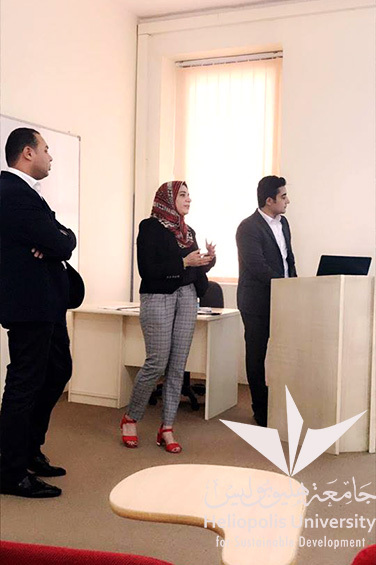 Accounting senior students of the Faculty of Business and Economics address major issues related to accounting in their graduation projects this year. They employed different data collection approaches and data analysis methodologies and conducted interviews to complete their studies. The accounting students tackle three critical issues: Tax Evasion, Decision Making, and the Value Added Tax (VAT). The first project discusses “The Forensic Accounting in Limiting Tax Evasion” which is considered a major problem in Egypt. The study aims to examine the role of forensic accounting in limiting this illegal phenomenon. It uses the primary approach for collecting required data through interviewing three tax experts and qualitative approach for analyzing collected data. The findings of this study indicate that there is weak awareness of forensic accounting in Egypt and its role in limiting tax evasion. 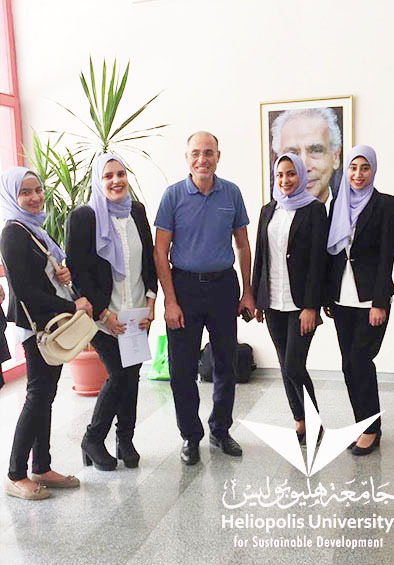 The project team consists of Mahitab El Gohary, Eglal Abdel Aal, Lamiaa Reda, and Sara Ragab. The second project explores the “Impact of Quality Accounting Information on Decision Making.” The study states that accounting represents the language of any business, since its purpose is to provide useful information for decision making. Accounting information in its final product is considered as ”blood test’ for the business and many users need this information to make crucial decisions. These users are investors, creditors, government officials, managers, and many others. The project team conducted interviews with different users to identify their needs and clarify to them how accounting information can be of great importance to make well-informed decisions. The project group consists of Mohamed El-Hadidy, Ahmed Nasr, and Mohamed Ibrahim. 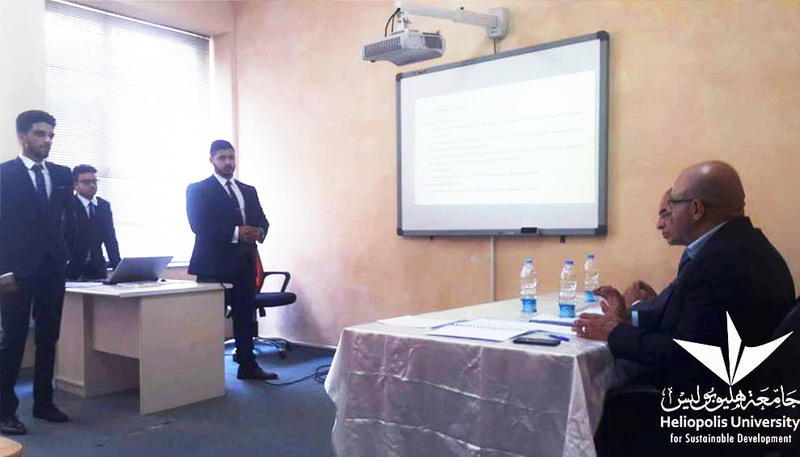 The final project is titled the “Evaluation of Problems and Benefits of VAT in Egypt (Macro and Micro Perspective). Value Added Tax (VAT) is an indirect tax applied upon the consumption of most goods and services. It is also registered by businesses when purchasing supplies and goods and applying services in the course of their business. The students analyzed and assessed all difficulties as well as benefits of the VAT in Egypt. The project team members are Abd El-Hamid Shoukry, Ahmed Ashour, and Asma Ahmed. All of these valuable projects were supervised by Dr. Tarek El Shazly.